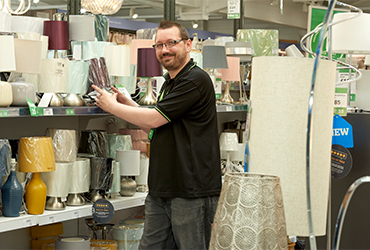 We have high street shops and out-of-town superstores across the UK. 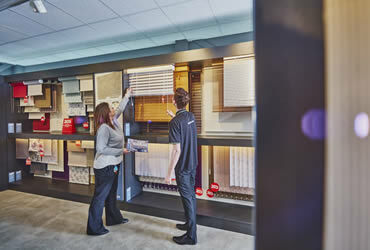 And as they’re where we meet our customers face to face, they’re the heart of our business. 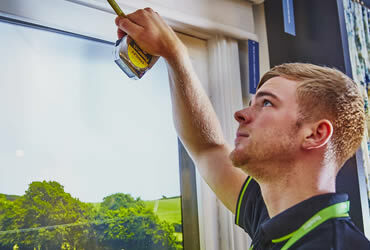 You’ll be part of a team that creates a homely, welcoming environment. So you’ll need to like meeting new people and helping them choose exactly the right product for their homes. A keen interest in homewares would be a big plus. 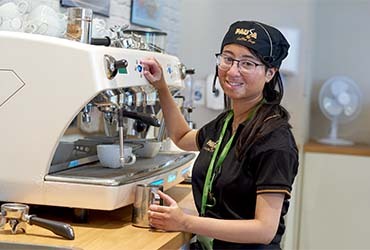 There’s a variety of roles across each store, but wherever you work you'll find the same fast-paced, informal, friendly atmosphere. You could be working in the warehouse one minute, finding a product for a customer the next and serving on a till after that. And as every day will bring new challenges, you’ll learn constantly. With over 170 stores nationwide, we're bound to have an opportunity that's right for you, close by. If you pass initial screening, we’ll invite you to an assessment centre where you’ll meet us and other applicants. Before you come we’ll ask you to visit a store. On the day you’ll take part in a few simple exercises that help you show off your skills and decide if the role is right for you. 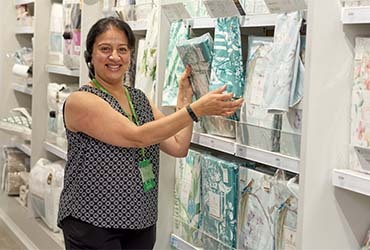 Dunelm has four key principles. The main one for me is being committed. I’m passionate about customer service and I’ve finally found a job that’s worth getting up for in the morning.